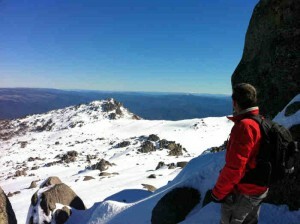 Home / Blog / We Have New Thredbo Accommodation Deals for the Winter! We Have New Thredbo Accommodation Deals for the Winter! Check out our new winter Thredbo accommodation deals! It seems like a long way off but winter is already on our minds here in Thredbo. We have set our rates for next season and as usual our Advance Booking Special Rates lead the charge. You can save up to 33% on our nightly rates for 5 and 7 night stays and up to 25% for 3 nights stays in selected periods. This means that you can stay for 5 nights in a peak season week for as little as $1840 for a family of 4. You do have to book early as these rates are limited. The good news is that we just need a 10% deposit to confirm the booking and the rest of the 50% deposit is not due until February 15th. Also back again for next winter is our 3rd night free deals in selected periods in June and September. These offers are excellent value, particularly if you are new to Skiing and Snowboarding and just want to try your legs for the first time. You can stay in Thredbo in a one bedroom apartment for 3 nights in the Snow season from as little as $627. Larger apartments are also available. The Lift Pass package offers are not available yet but if you want to lock in some accommodation on our advance booking specials, we can upgrade you to the package later and you won’t miss out. Click the Book Now Button to book online or fill out the booking request form below. Classically Blue Returns to Thredbo Alpine Village After 10 Years! Check Out Our Interschools Mountain Bike Championship Accommodation Deals!